Packets of potential rest, waiting. Huddlers for warmth buzz, stretching. When the equinox rolls around, the sun doesn't favor one hemisphere over the other. Opposites find their equal. It's not winter, and it's not summer. It's the middle, the transition, the balance. 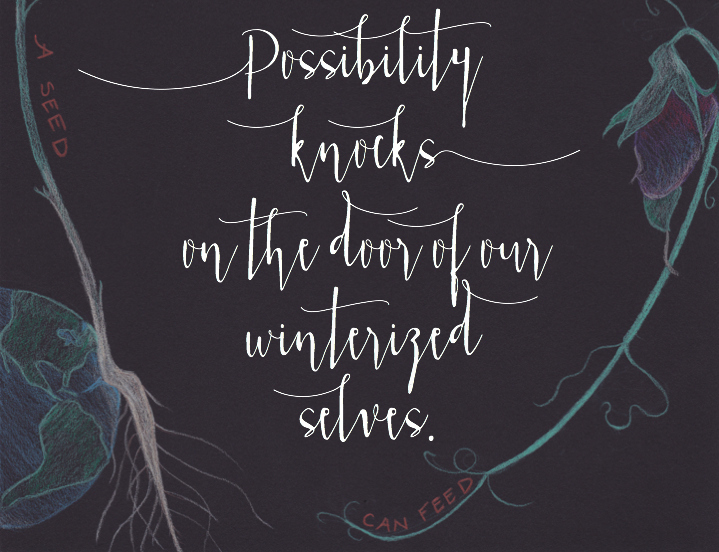 Possibility knocks on the door of our winterized selves. The little want to be lofty. Small things—details—make up the richness of any person, place or food. With all else equal, small is sizeable. Minute, miniscule microcosms. The full patina of the petite. its tale is short on displacement of truth and resources and well-worded on the subtleties of fine living from beginning to end. Small food is bigger than it lets on. 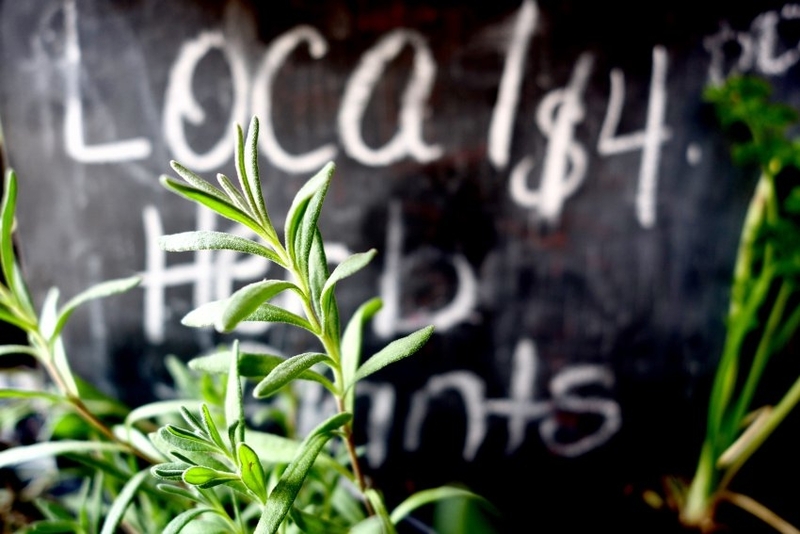 From seed, to seedling, to sale or swap, it multiplies exponentially. It pays out a livelihood at the expense of those who are glad to pay it. We get food to give food, and we give food to get food. That's small, and it's huge. This season suggests hand-to-hand living with the seed, the self and the small grower.